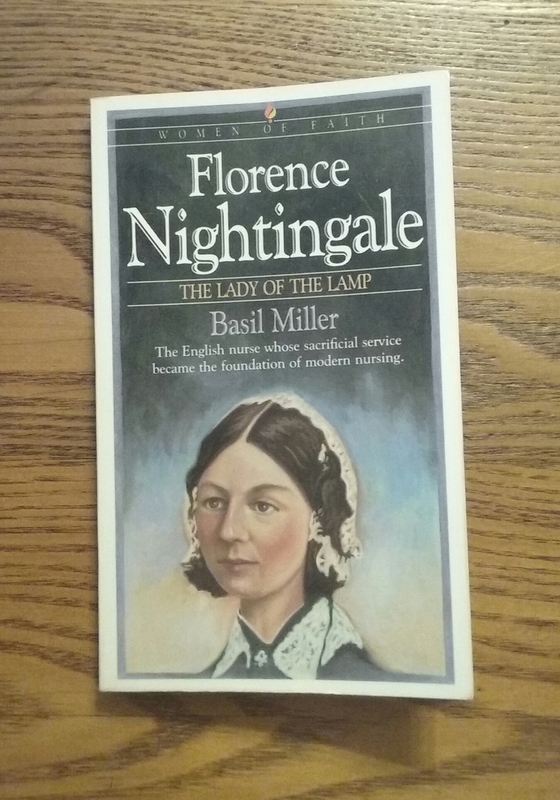 Today we celebrate the life of Florence Nightingale, the mother of modern nursing who was born in Florence, Italy, on May 12, 1820. She was also called “The lady with the lamp” and was known for her contribution to her profession as a nurse. Her wealthy family did not support her choice of career. One doctor told her father, “Some of the nursing is done by drunken prostitutes who were given the option in the police courts of going to prison or to the hospital.” But she defied all odds to not just become successful at nursing but to revolutionize it entirely. During the Crimean War, she and a team of nurses improved the unsanitary conditions at a hospital on a British base in Scutari, Turkey, greatly reducing the number of deaths. She described in her journal the horrific conditions that greeted them. “We have four miles of beds eighteen inches apart. We are steeped to our necks in blood. Eleven men died in the night simply from exhaustion, which, humanly speaking, might have been stopped could I have laid my hand on such nourishment as I knew they ought to have had.” She and her nurses soon set up a diet kitchen, purchasing food for the soldiers from her own funds. Her next problem was the hospital laundry. Only six shirts were being washed per month for the thousand or more wounded because the rate of theft was high. Again, using her own money, she rented a nearby house, had boilers installed, and hired the soldiers’ wives to wash clothes. Then she purchased 10,000 shirts for the soldiers since they literally only had the shirts on their backs when they landed in the Crimea, thinking the war would only last one day. Florence made sure the old vermin infested blood soaked clothing was burned. Pass through the glimmering gloom, And flit from room to room. Her shadow as it falls Upon the darkening walls. After the war ended in 1856, she returned to England and was given a heroine’s welcome, much to her surprise. She insisted on compiling statistics to present to the government to improve the conditions for their soldiers. Seven times more men died from disease than from battle wounds. She won her battle with Parliament, and in 1858 they provided the funds to ventilate and heat the barracks, introduce a sewer system, remodel the kitchens, and use gas lights rather than candles. To safeguard the soldiers’ moral health, she built reading and recreational rooms, coffee shops, and lecture halls. In 1859, she published her Notes on Nursing which became an international bestseller worldwide. Her Notes on Nursing were used to guide the nurses during the Civil War in the United States which began in 1860. In appreciation for all the lives of the wounded British soldiers that she and her team of nurses treated, Queen Victoria awarded her $250,000. Florence used this money to establish St. Thomas’ Hospital and the Nightingale Training School for Nurses in London in 1860. Fifteen students were admitted to the school on the condition that they would serve in public hospitals and infirmaries. The “Lady with the lamp” died in London, on Aug. 13, 1910 and was buried in a simple family grave as she requested.